So here she is, the latest addition to the stable. 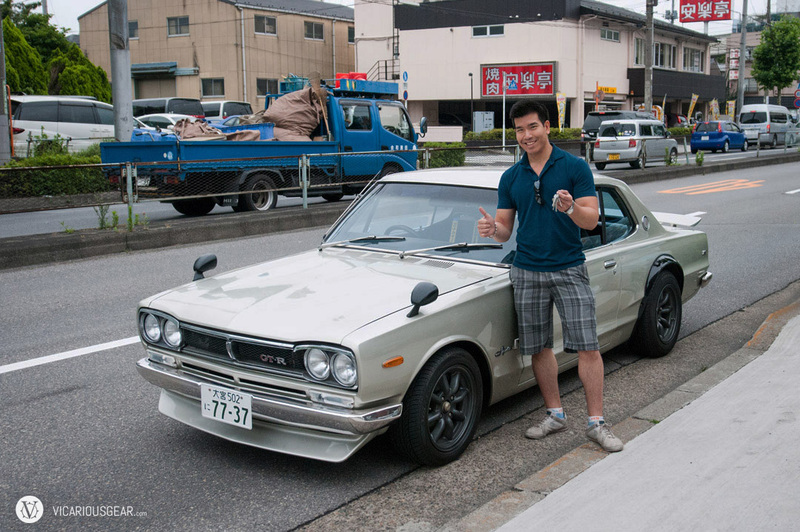 A 1970 Nissan Skyline 2000GT (GT-R clone)! Also known as the Hakosuka (boxy skyline). I’ll be sure to post the story of the grueling nine month search and the dealer horror stories along. What better way to explore Japan than to cruise around in one of its most iconic vehicles? Still can’t believe she’s mine. Please post more pics of it and full details on the mods.